Fish on trombone. Alternate lyrics referencing Sofi's birthday and Ninja Custodian. Suzy included Purple Haze teases from Trey. SOAM included an extended drum solo from Fish. Fish explained some of his vacuum parts before launching into a vacuum solo during I Didn’t Know. 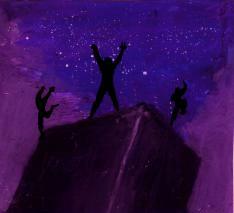 Members of Ninja Custodian visited the stage before and during the encore, leading to some funny stage banter. Undun was subsequently dedicated to Sofi (likely Sofi Dillof) on her 22nd birthday and the lyrics to the song were changed to reference the event and the Ninja Custodian hijinks. Undun also featured Fish on trombone. Tela was played for the first time since August 27, 1988 (122 shows). 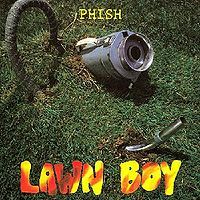 For a pre-1990's show, this show is surprisingly listenable in terms of sound quality, so it's as good as any if you're looking to get a snapshot of early Phish (although the best option is still the 8-26-1989 Live Phish release). The show cuts into an abbreviated La Grange that is a predictable wankfest. 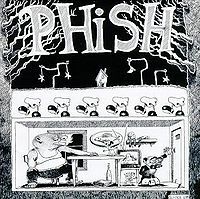 If the Trey from today listened to the Trey from 26 years ago, he'd be shocked at how many notes he used to be able to play, many of them tasteless. 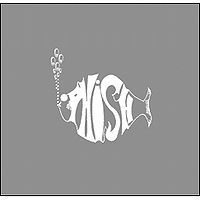 Despite this, mostly everything in the first set is played well, including a zippy YEM, a Suzy complete with humorous Purple Haze and Popeye teases, and a SOAM that phish.net seems to think is particularly noteworthy. If IDK had a jam chart, this version would probably be on there. Testify! The second set starts out sluggishly with one of the slowest Harry Hoods ever, although it does have an interesting staccato portion mid-song that may warrant a listen if you're a big Hoodie. Following this is only the fourth Reba ever, but this was their third night in a row playing it...so you'd think it would be good, right? Well, it's not awful, but it's certainly not the Reba we know and love today. It still contains that horrible falsetto "Bag it, tag it" section, which is mostly only interesting in historical context. In general, the song is okay, but they clearly hadn't worked out the kinks yet. In a Hole is another newer song, but this one didn't stick around as long as Reba. (I wonder why?) This one also doesn't have the I'm an a-hole joke, so you can skip it and listen to a later version. The Who Do? We Do! coming out of McGrupp is worth a listen. The segue is perfect and should be marked as a -> in the setlist. One thing I liked about late 1989 was their willingness to take Fluffhead apart and insert various portions of Fluff's Travels into other songs. Lots of other setlists from October have these little segments, and they're all worth listening to because they almost all work very well. My Sweet One is yet another early version of the tune, and it's not quite at breakneck pace yet, but still worth a listen for a nice Leo solo.